There are just certain characteristics that all good, quality caterers should have. Successful catering is a combination of hard work, proper training and years of dedication to your cause. Caterers are always facing new challenges, and if they do not possess the characteristics we are about to mention, they will ultimately fail. Catering is so much more than just serving divine dishes with a smile. In this heavily contested industry, only the inspired will remain successful. At a very basic level, catering is about food. And we aren’t talking about mere presentation. As beautiful and tempting a spread may look, if it doesn’t taste good you will receive no calls back. Even if you present great looking food that is just as tasty as it looks, you need to possess the skills of creativity, culinary vision and learning new skills on the fly. Good caterers comply with all the food safety laws in their region. That is, catering companies who teaches their employees the proper ways to safely prepare and serve foods will find themselves in good company at the top of the catering list. 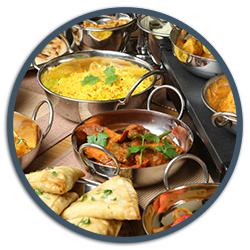 A good catering company, we mean a really good catering company, has the ability to adjust recipes as needed to comply with food allergies, personal preferences and dietary requirements. Don’t think these skills aren’t necessary, it takes skill and creativity to create extraordinary dishes that meet strict requirements. As Vancouver‘s premier catering service, we not only meet these characteristics, we exceed them. Our experienced staff is unequalled when it comes to commitment to service and quality. We invite you to see and taste why we are the top catering company in the region.